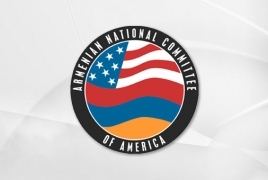 PanARMENIAN.Net - The President of the International Association of Genocide Scholars, Dr. Henry Theriault, will headline the inaugural February 27 lecture of the Raphael Lemkin Policy Series, an ongoing Capitol Hill conversation about legal and political challenges and opportunities related to the prevention and punishment of the crime of genocide. Dr. Theriault, who serves as Vice President for Academic Affairs at Worcester State University, will speak at 12:00 noon on Wednesday, February 27 at the Rayburn House Office Building. Theriault is President of the International Association of Genocide Scholars (IAGS) and Associate Vice President for Academic Affairs at Worcester State University, after 19 years in its Philosophy Department. Theriault’s research focuses on reparations, victim-perpetrator relations, denial, atrocity prevention, and mass violence against women and girls. He has lectured around the world and published numerous journal articles and book chapters, edited two books, and co-authored – with Samuel Totten – The UN Genocide Convention: A Primer (forthcoming, University of Toronto Press), which features a chapter on Raphael Lemkin. He is a founding co-editor of the journal Genocide Studies International, and from 2007 to 2012 he was co-editor of the journal Genocide Studies and Prevention. Since 2007, he has chaired the Armenian Genocide Reparations Study Group and is co-author of its 2015 report, Resolution with Justice. For more details, see Professor Theriault’s auto-biographical reflection in Totten’s Advancing Genocide Studies: Personal Accounts and Insights from Scholars in the Field (2015).